Panasonic has announced the Panasonic Lumix DMC-GF5 mirrorless camera, successor to the DMC-GF3. Upon first glance, the new camera looks almost identical to its predecessor. The older DMC-GF3 was a camera that was not received very well by a lot of people. The question on everyone’s mind is whether or not the new DMC-GF5 has the specifications to make up for the lackluster DMC-GF3. The DMC-GF5 shares a very similar housing to the DMC-GF3, but has a few ergonomic changes that should make handling the camera a slightly better experience. The finger and thumb grips on the DMC-GF5 are now made out of rubber instead of the slippery plastic that was used on GF3. The texture of the body is is also a little bit rougher than the GF3’s, to provide a better overall feel. Panasonic has done a few things to improve the internal components of the new Lumix DMC-GF5 as well. The new camera features a 12.1-megapixel sensor, similar to that of the DMC-GF3’s, but Panasonic promises slightly improved high ISO performance, courtesy of newly updated Venus engine processing. The GF5 also gets a bump in its maximum ISO, from ISO 6400 to ISO 12800. The camera can record video straight to MP4 format, instead of being stuck with AVCHD, and has stereo microphones built into it for better sound. The LCD screen in the back of the camera has also been improved from a 469K dot to a 920K dot screen. Overall, the Panasonic Lumix DMC-GF5 looks to be a capable camera. 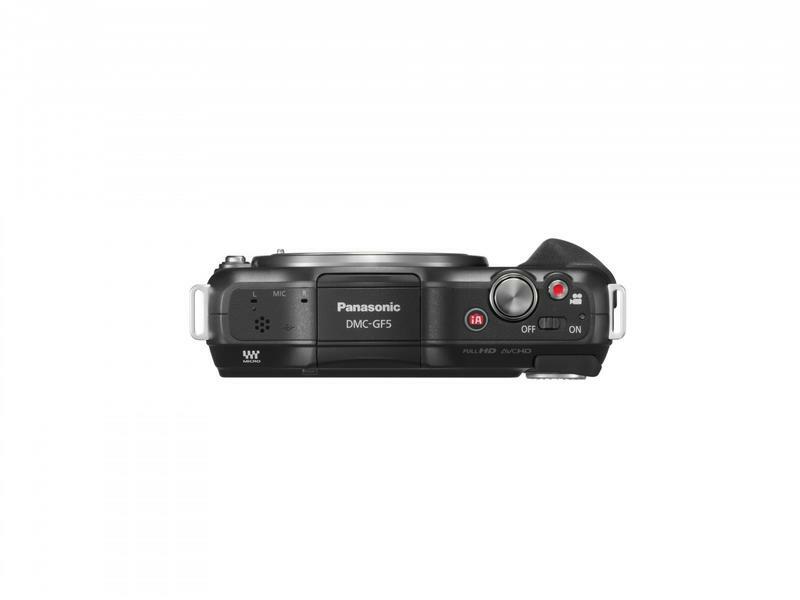 The older DMC-GF3, however, will still be available for $100 less than the GF5. If I had to choose between the GF3 and the newer GF5, I think I’d save my money and go for the older camera. 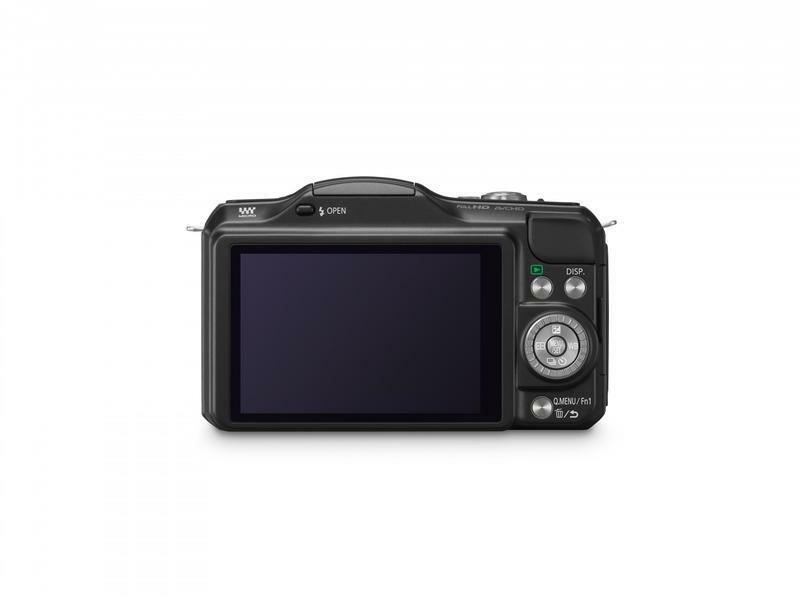 If I had an older GF1 or GF2 and wanted to upgrade, I would look beyond the Lumix GF line for alternatives. With this new camera, Panasonic hasn’t addressed any of the complaints that people had with the GF3. 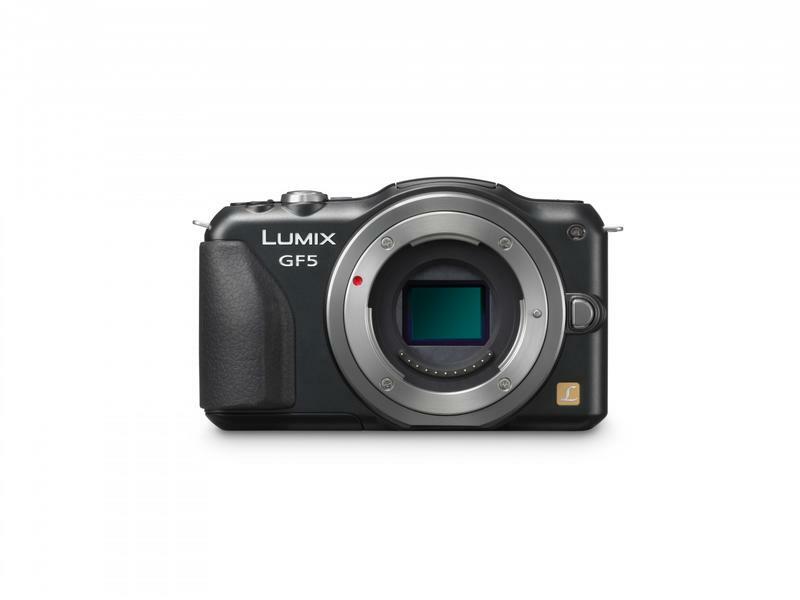 Instead, Panasonic has established the GF line as an upgrade for point-and-shoot camera users rather than the feature-packed camera that it was when the original GF1 was released. This will hopefully change the expectations that people will have for future GF releases. The Panasonic Lumix DMC-GF5 will be available later this year for $599 bundled with the standard 14-42mm lens, and $749 with the 14-42 power zoom. Does this new Panasonic Lumix DMC-GF5 mirrorless camera tempt you at all?